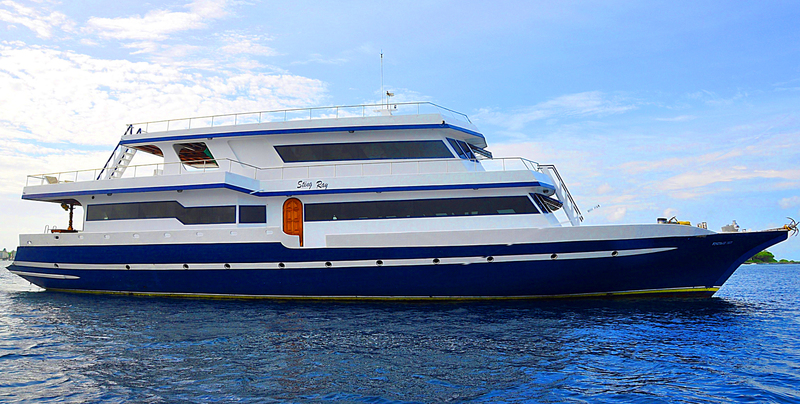 Sting Ray is a comfortable and probably the best value for money Liveaboard in the Maldives. 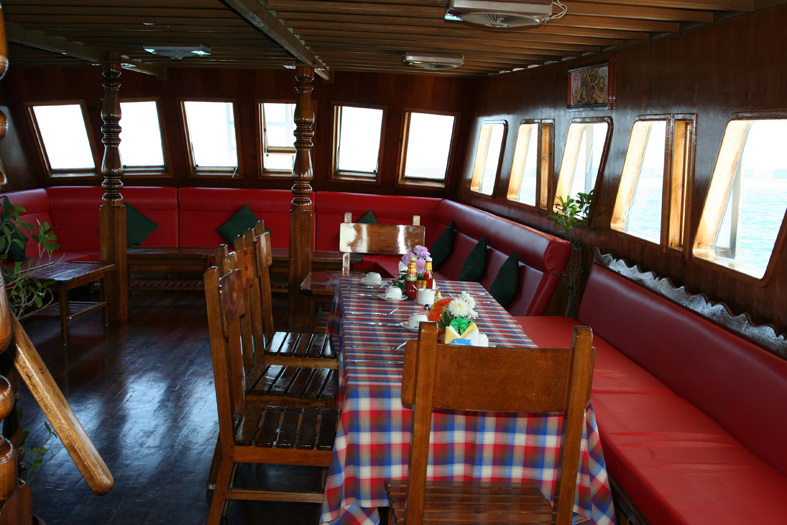 This boat features a traditional Maldivian solid wooden style interiors but equipped with all the modern engineering. The perfect choice for your surf trip in the Maldives! Internet Wifi is available in common area. 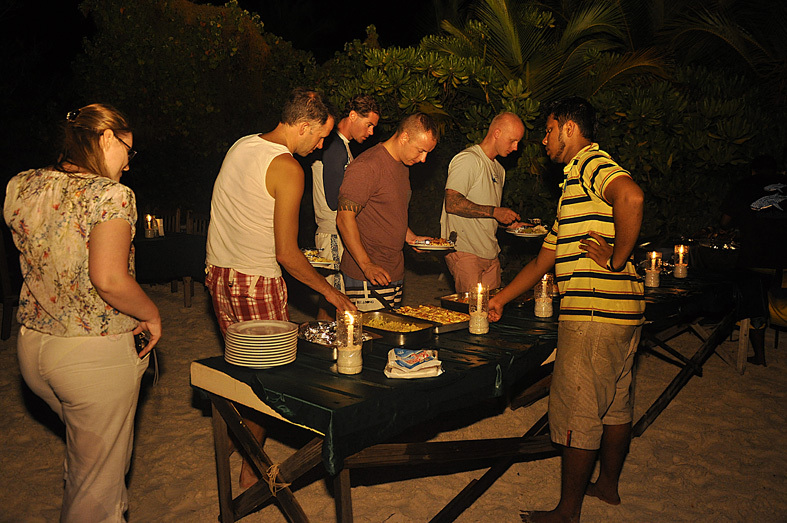 The Maldives present a tropical weather and average temperatures all year round is 28 degrees. This is a famous and exclusive destination worldwide because of its beautiful islands and expensive resorts that have always attracted tourists and honeymooners. Although, the Maldives are becoming more and more popular for its perfect waves, especially among European and Australian. Now, it's possible to surf these waves without staying in expensive resorts. There are many islands with good waves but you must know where and when is the best time to surf them. The best way to discover these spots is undoubtedly by boat, which allows you greater mobility to surf different waves every day adjusted to your surfing level. 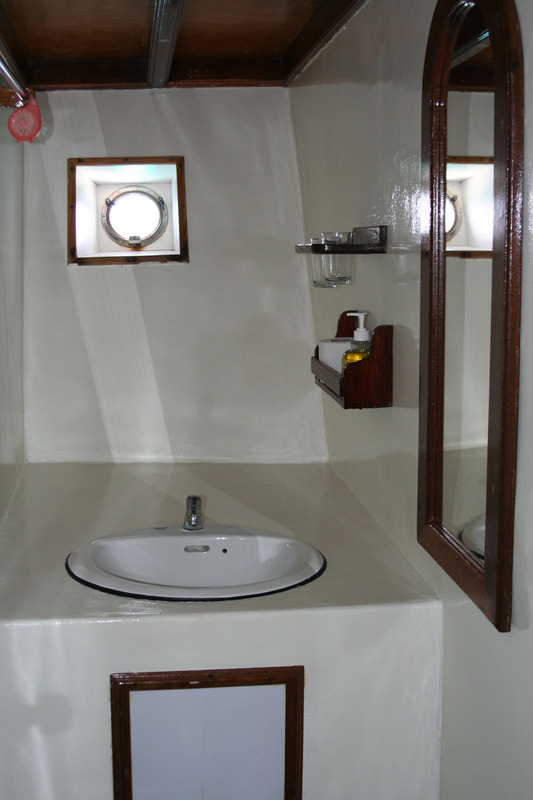 Sting Ray surf boat has 9 comfortable cabins (4 with double and 5 with twin beds) are all equipped with air conditioning and en-suite bathrooms with hot-water showers. 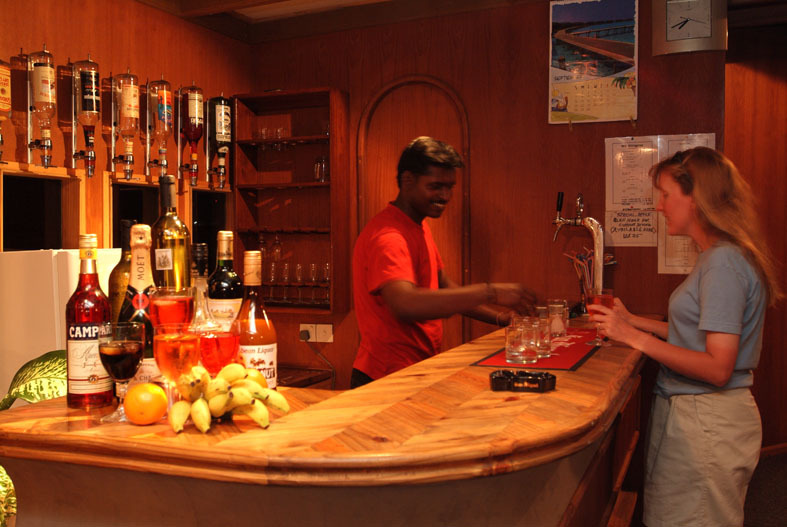 The boat also has a saloon, bar and exterior chill out areas. There is a modern kitchen fully prepared to cook all the meals during the trip. 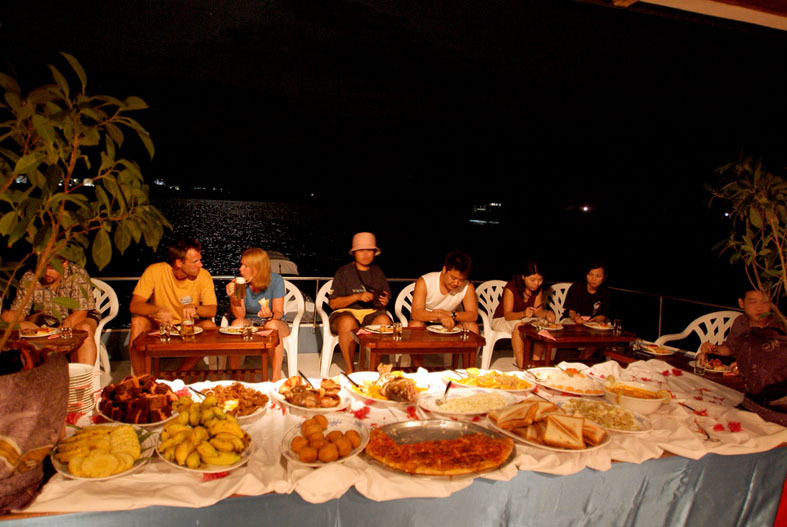 You can count on a very experience team at your service to provide you everything you need on your surf trip. 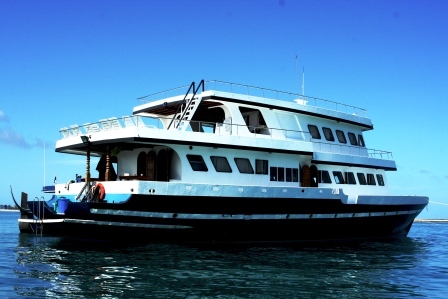 This is the boat to book for the best value for money surf trip in the Maldives! Surf spots in Maldives are generally grouped into regions (Male atolls, Central atolls or South atolls). Surfing in Maldives is most commonly done in Male atoll surfing area which contains breaks such as, Past point, Lohis, Cokes, Chickens, Sultans, Jailbreaks, Honkeys, Ninjas and Twin Peaks. 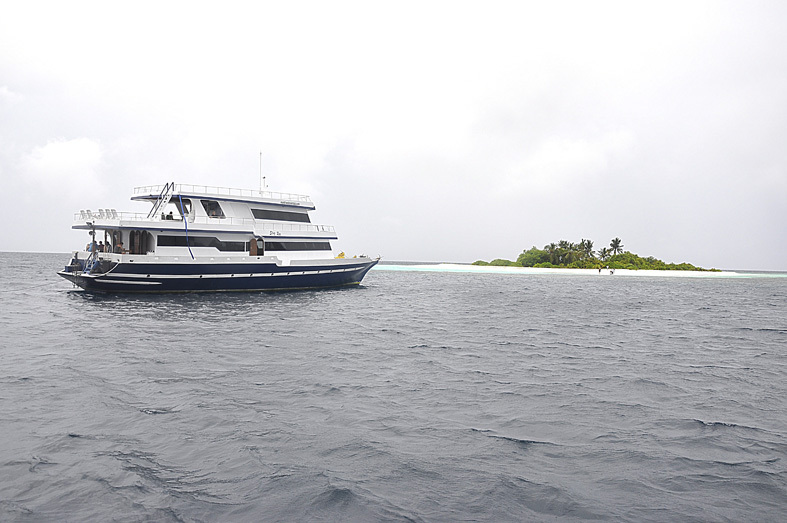 Central Atoll surf covers atolls Meemu Thaa and Laamu Atoll. Some of the surf breaks include Bedhuge , Bowling Alley, Maliks, Machine, Ying Yang and Finnimas. The best time for Surfing is between April to October, when the swells from the South Indian Ocean arrive to the Maldivian archipelago. The peak season with the biggest waves occur in July and August. From November till March, there are a few waves but low consistency in Male Atolls. 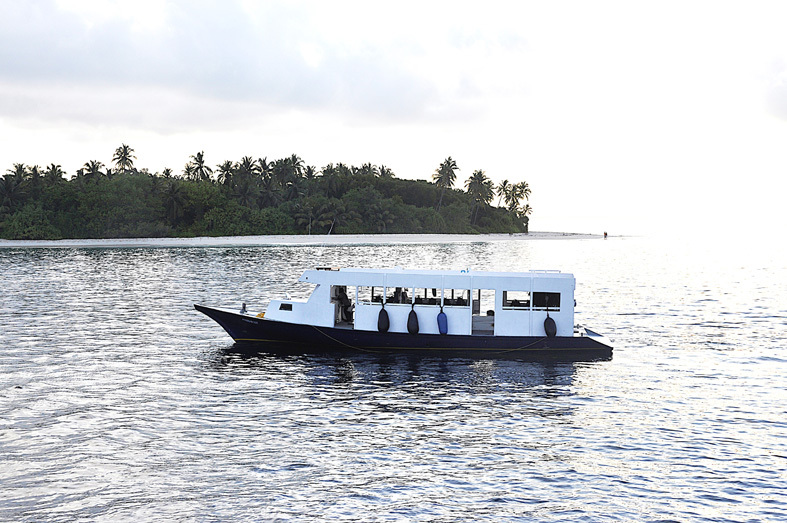 The best option is to go to South Atolls during these months. 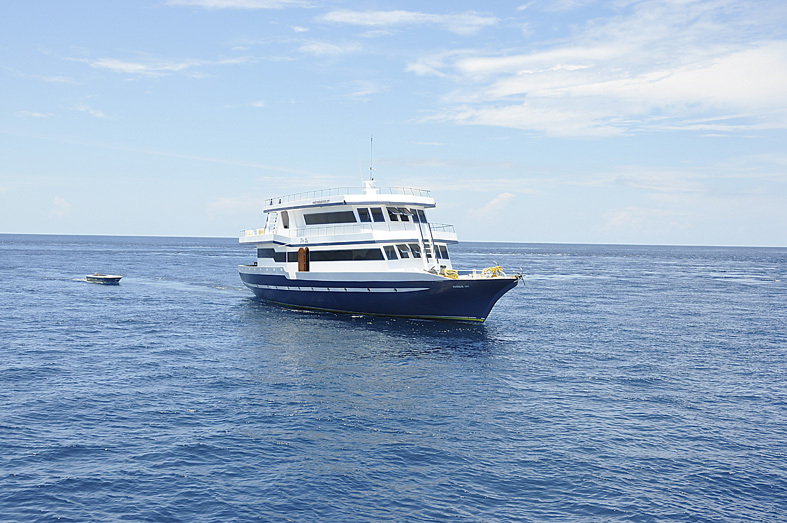 Liveaboard will park somewhere near the surf spots, and guests will be taken to the break by Dingy. 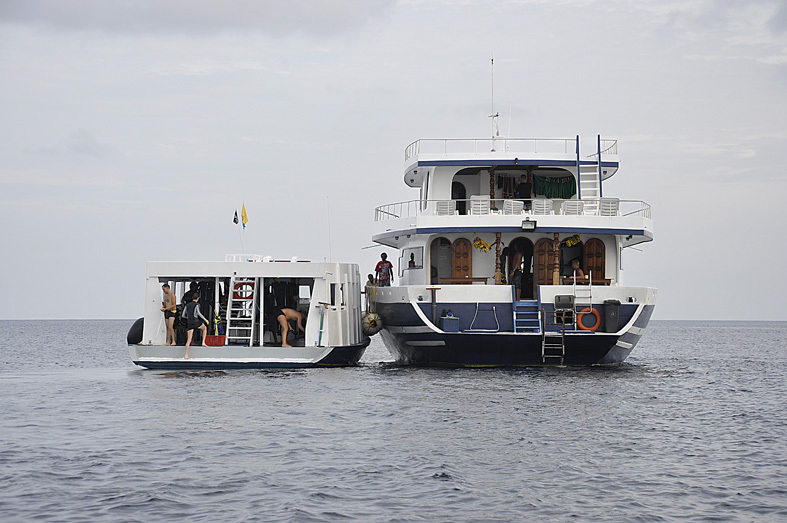 Surfing experience on Liveaboard is one of the best ways to enjoy a surf trip in the Maldives. SURFINN © 24-04-2019 04:38:59. ALL RIGHTS RESERVED.